Themselves revivalists, Oasis created a sound in the 90s so appealing to the masses that by now it has been revived at least a couple times by a long list of bands, not the least important of which is DMA’s. Originally based out of Sydney, Australia, then signed to Mom + Pop Records in the U.S. (the same label that carries Courtney Barnett, another Australian). DMA’s consists of three members, though their touring band has recently expanded to six to help replicate that “wall of guitars” sound in a live setting. So even if they do sound just like Oasis, Oasis was an amazing band, and we need more of those, so please, revive all of the great sounds of the past, all the bands that have wowed us from past generations. It’s like Plato’s idea of the forms: that there is just that one perfect “form” of any one thing (a chair, a bed, a band) that exists somewhere in the cosmos, and everything we witness down here is just a copy of that original form. Of course this idea is ridiculous, as if there’s just that one form of the quintessential Britpop band, and all the Kula Shakers, Pulps, Blurs, Ashes, and Oases are just faded imitations of that greater form. 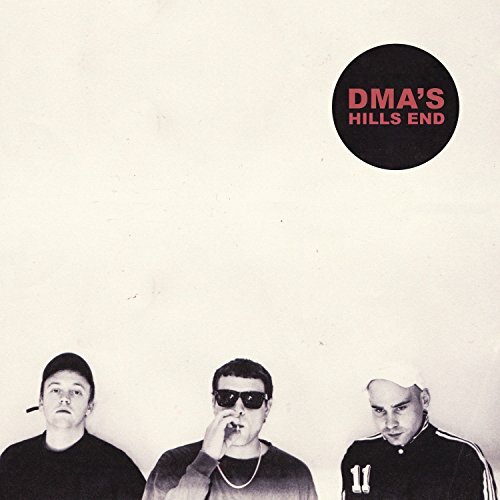 Though not the original form, DMA’s fits well into the category of Britpop. They don’t necessarily make it priority no. 1 to craft their own original sound, but is there anything wrong with that? Not to me. Personally, I hope more bands are as successful at reviving the 90s alt rock sound as young band has already been, especially if their idols are used as springboards towards further expansion and experimentation. April 28, 2016 by V+C.